Using more words than necessary, Franklin is saying that missing a half day of work is the same as throwing away a half day’s wages. Similarly, taking a whole day to complete a four-hour job is the same as your employer throwing away a half day’s wages paying you for work you didn’t do. Learning how to build a schedule and effectively managing your time can save your company thousands of dollars as you efficiently move from one project to the next. In this article, we’ll discuss how to create a time management schedule that works using easily accessible and intuitive tools. There are 24 hours in every day. In an ideal world, eight of those hours would be spent sleeping every night, and another eight hours would be dedicated to working. If you are spending more than eight hours at work every day, you are doing it wrong. After all, you should work to live rather than live to work. But learning how to schedule your time efficiently so that work can be completed in the allotted time can be a real challenge. If you are creating a schedule that only you will follow, it may be a little easier than it is to create a schedule that works for everybody. If you have team members who participate on multiple teams, it can be even more difficult. In the following sections, we will present steps that will improve your chances for success in your business and personal time management planning, so you can get your work done and have the time to do the things you want to do. Writing down your tasks and assignments helps you think about what needs to be done. It is a useful exercise that will help you to make sure that nothing is overlooked. If any of your tasks are part of a bigger project that depends on work being completed by others, you’ll want to consult with them to make sure everything is captured. Make sure you include everybody who will be involved. As you consult with the team and subject matter experts, be sure that you keep the project scope in mind. You don’t want to include any tasks that may derail the project. It is also helpful to estimate the resources you will need to complete the tasks. Important and urgent: These are tasks that are done immediately and personally. There is no leeway on the deadline. Important but not urgent: These are the tasks you have committed to complete and that have a solid due date, but they don’t need to be done today. 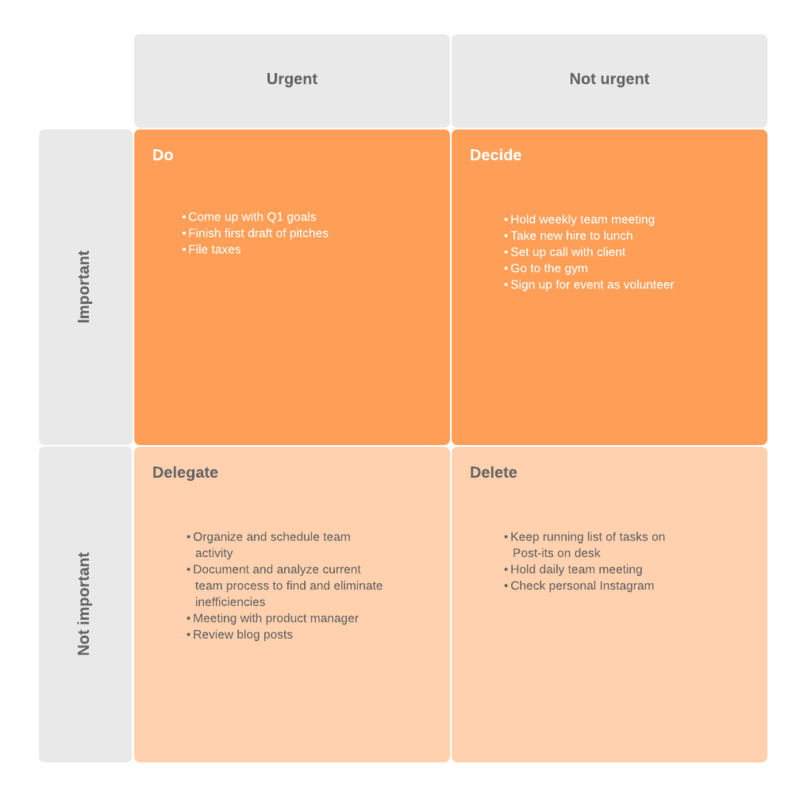 It is still important to schedule time to complete these tasks or they will end up being moved to Important/Urgent quadrant. Not important but urgent: These are usually tasks that need to be completed immediately, but not necessarily by you. Try to delegate as much as possible. Not important and not urgent: These tasks can be defined as “busy work.” These type of tasks have little or no value and should be eliminated if possible. Confer with people familiar with or experienced in working on a similar task. Their experience can help you define a reasonable time frame to complete the task. Look at similar past projects to estimate how long this project will take. For example, if it took you 30 minutes to update information on a web page, you can reasonably estimate that it will take 30 minutes to update a web page of similar length. This strategy is similar to analogous estimating except that it allows for scalability. For example, if it takes you two hours to mow a one-acre lawn, you can estimate that it will take you four hours to mow a two-acre lawn. 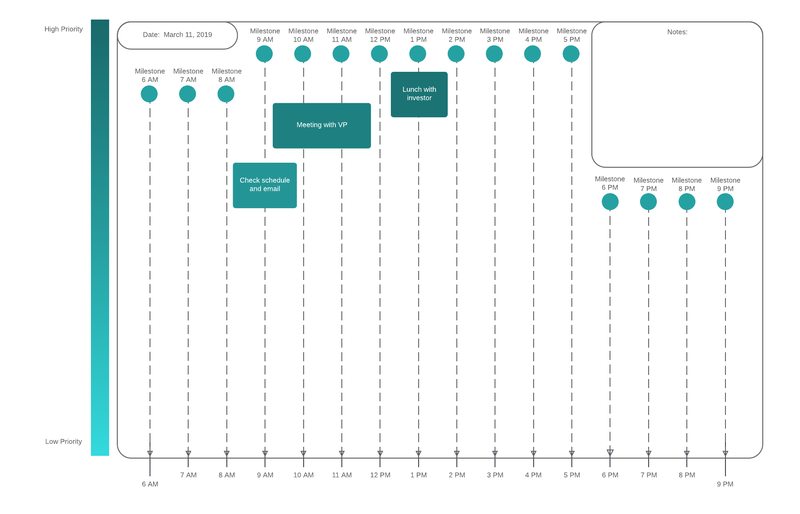 Use Lucidchart to create a PERT chart that helps you determine your dependencies and the minimum time necessary to complete a project. You need a little white space in your schedule. You may be tempted to fill that white space with additional projects. Be careful not to commit to more than you can realistically handle. Stuff happens, and you need to schedule some white space for contingencies and emergencies. You may not initially know how much extra time you will need to schedule, but experience, consulting with others, and simple trial and error can help you determine how much time to add. The more unpredictable the project, the more contingency time you may need. As you learn to more effectively handle interruptions, you will not need to plan as much contingency time. If you have any time left, that is your discretionary time, or time that is not assigned to a specific task or activity. This is personal time for reading emails, reviewing your schedule, preparing for a meeting, working through important but not urgent items, and so on. As you are setting up a schedule, you should create a visual representation such as a timeline or a calendar. Using a visual schedule lets you see what needs to be done with a quick glance. You can use color coding so you can easily differentiate high and low priorities. An important part of creating a calendar is making sure that you refer to it often. If you don’t review your calendar often, tasks may be forgotten and important work may go unfinished. It is likely that your time management schedule will not be perfect on your first attempt. Schedules change as projects evolve. You need to review and analyze your schedule often to see what is working and what needs modification. For example, If you find that you don’t have enough discretionary time and you keep moving tasks to next week’s calendar, you need to step back and review previous steps. Are all of the tasks you added absolutely necessary? 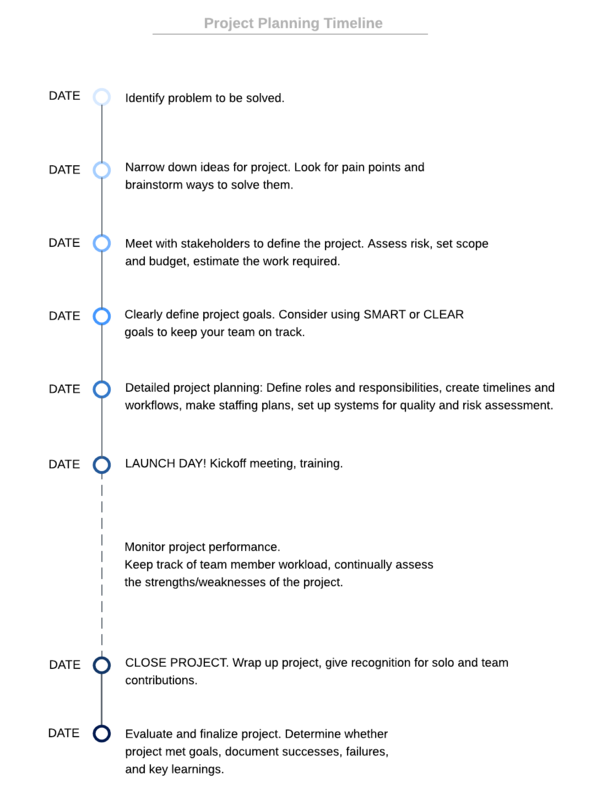 Is the estimated time given for the tasks reasonable? Are there other employees to whom tasks can be delegated? Be sure there is clear communication when changes are made to the schedule. If you still don’t have enough discretionary time, you may need to renegotiate your workload, look for automation solutions, or maybe outsource some work. The steps in this article are not definitive. They are presented here solely as a guide. As you work through a time management process that makes sense to you, be sure to work with Lucidchart to develop your flowcharts, mind maps, schedules, and any other type of documentation you may need. Lucidchart documents can be accessed from anywhere in the world, allowing for real-time collaboration and cross-team planning.